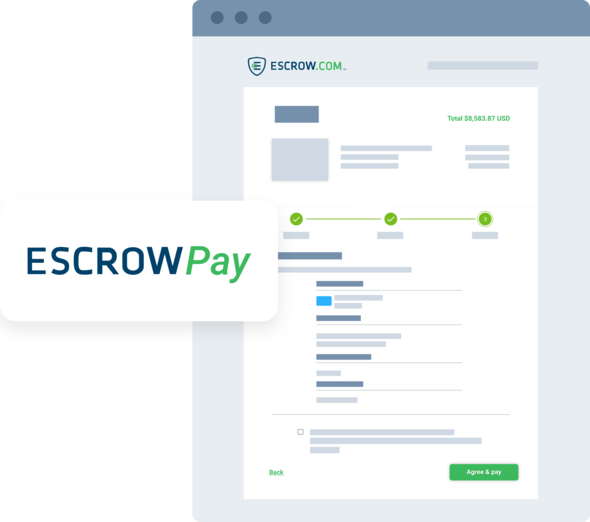 Escrow Pay | Secure online payment processing in one line of code. Secure online payment processing for cars, boats, airplanes, domains & anything of value, in one line of code. 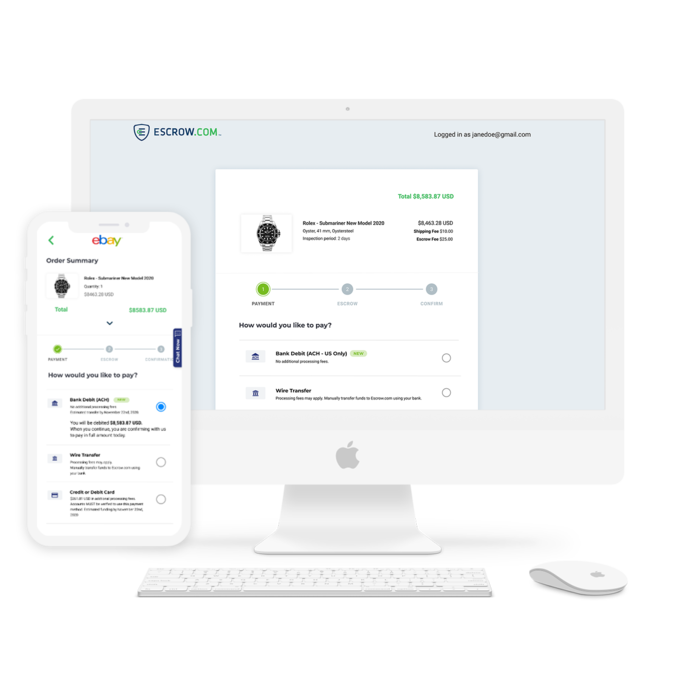 Escrow Pay is the simplest way to add escrow payments to your website, mobile app, online store, classified site or marketplace. 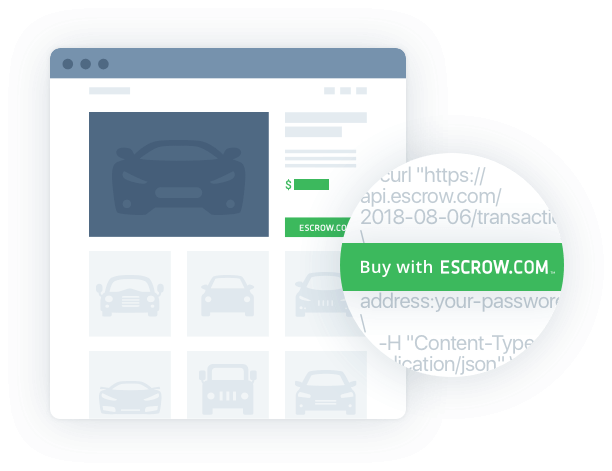 With Escrow Pay enabled on your site or your Buy It Now Buttons, your buyers will be redirected to a wizard on Escrow.com where they can complete an escrow transaction in a few easy steps. Get started in minutes with our API documentation and button creator. Establish credibility with your customers as Escrow Pay is supported by the most trusted, licensed online escrow service in the world. How do I add Escrow Pay to my website? You can add Escrow Pay to your business with a single API call. Or you can simply create a Buy It Now Button and your buyers will be automatically redirected into the Escrow Pay wizard. To learn more about integrating with Escrow Pay, please view our online documentation via the link below. Looking for full API integration? 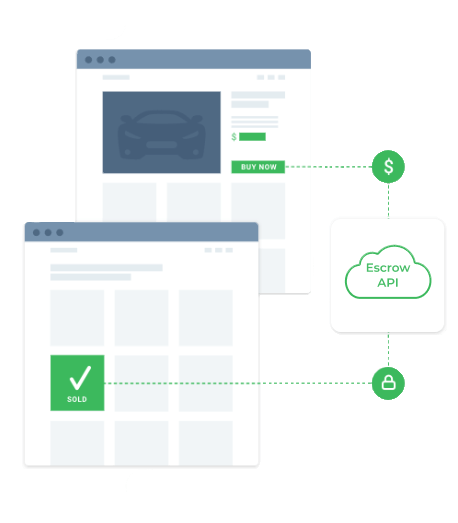 Consider integrating with our powerful Escrow Platform API. We engineered our API to let you spend more time running your business and less time worrying about payments code and compliance overhead.